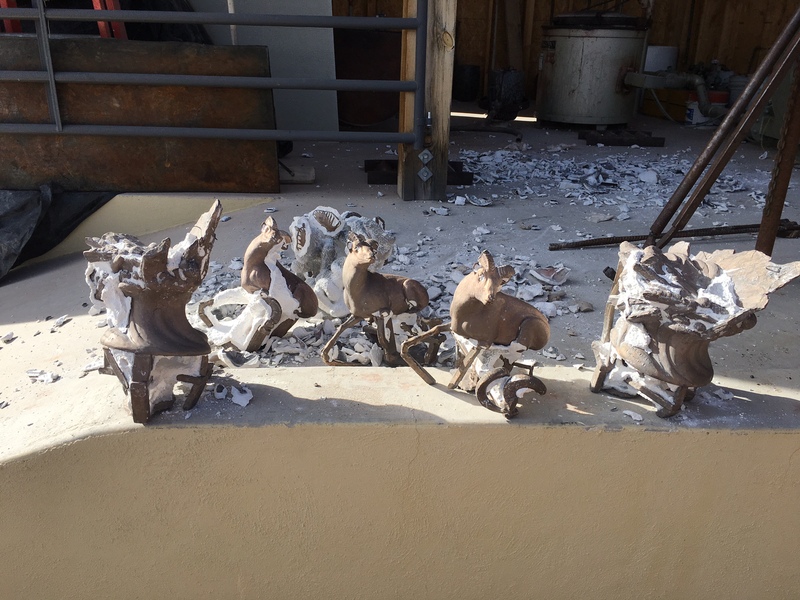 Frank has sold out all his thin horn sheep sculptures. 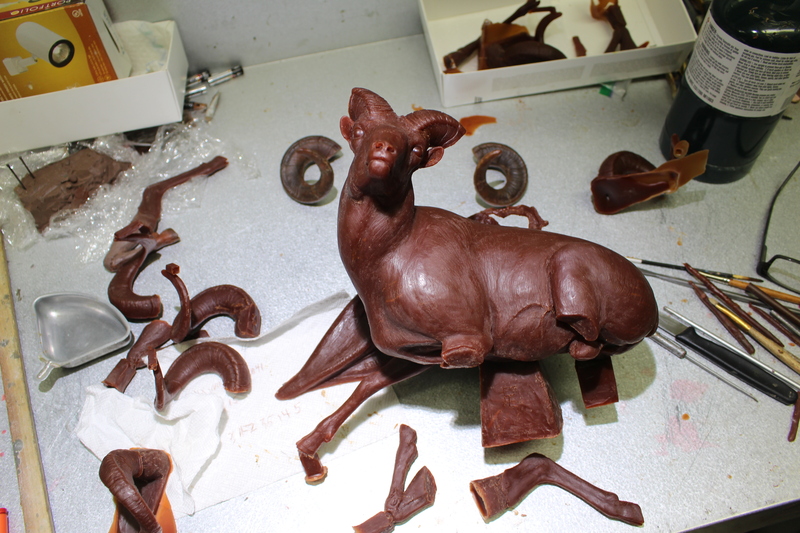 He has been working on this new lying down ram this past year. Frank wanted to do something different. This lying down sheep fit the bill. 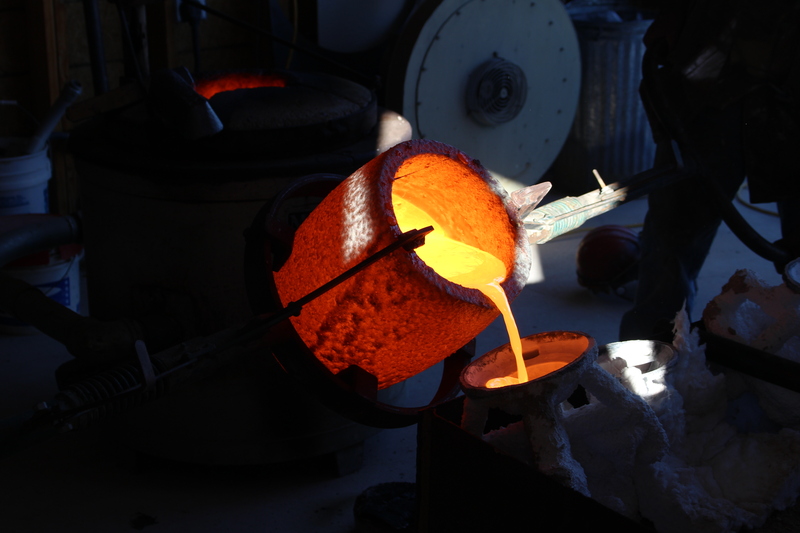 Frank escorted his original wax sculpture to the foundry in December 2017 to his foundry man in New Mexico, Jim Stout. Frank really appreciates Jim’s close attention to detail. 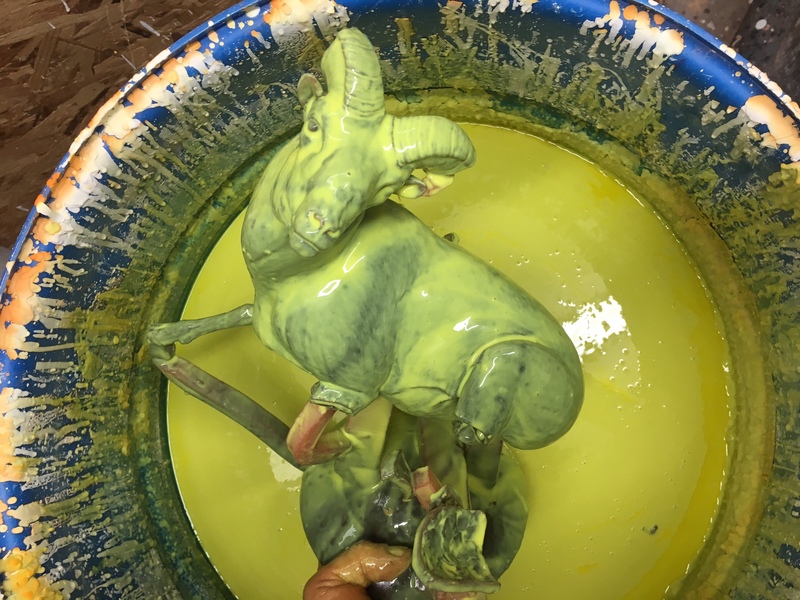 Jim and Frank worked 14 hour a days for over a week to begin the “lost wax process” getting this piece ready for it’s first showing at the Wild Sheep Foundation show in Reno booth 813. Frank’s over 5 decades in Alaska, his passion for sheep, his years hunted & observing sheep, brought this piece to fruition. 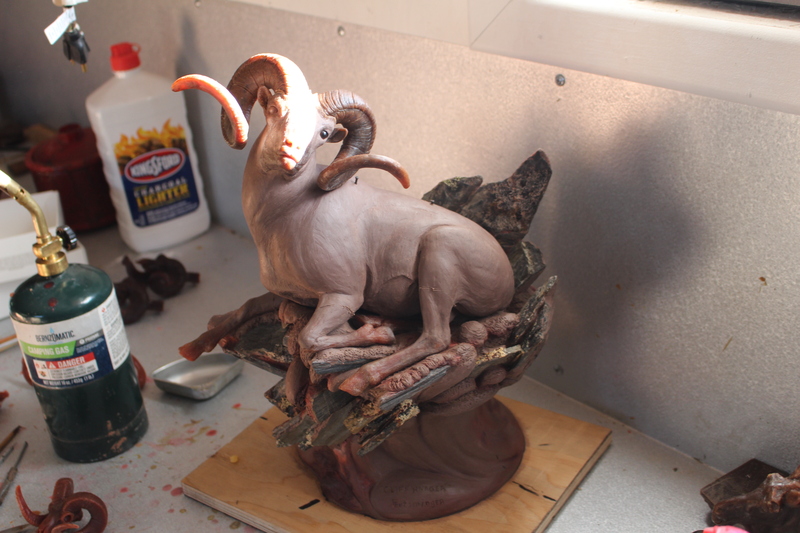 Frank is excited to depict an outstanding trophy quality ram, like his “dream ram”in this piece entitled “Cliff Hanger”.